Who said the spring bloom is over? Simply purchase & convert 50k @cash denomination via PayPal to receive a Primrose Chair with beautiful blooming stalks of Primroses! 2. 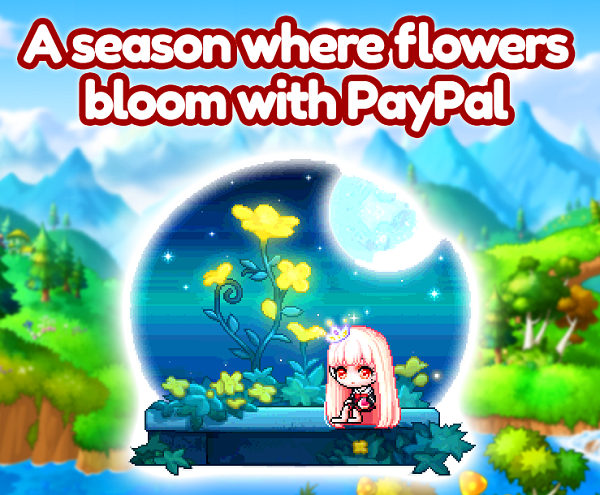 Promotion is open to all PayPal customers. 5. First 300 Customers to complete Charging and Conversion of 50K @Cash to 50K Maple Cash within the event period of 15th April to 31st May 2019 will qualify for the promotion. While Stocks Last! 6. Conversion from 50K @Cash to 50K Maple Cash must be completed in 1 single transaction. 7. All Charging & Conversion completed after the event date will NOT be entitled to receive the promotional item Primrose Chair.